My game is perfectly working unity editor. But in android(5.1 cyangenmod), playmaker functions doesnt working. For example unitybutton click events working but everything related with playmaker is not working. Included start event/state. I am waiting your responses to solve this problem. It seems to work fine on my end. How are your build settings set? Is your android sdk up to date? Yeah everything is up to date. and everything is working except playmaker. For example I did jumper game. 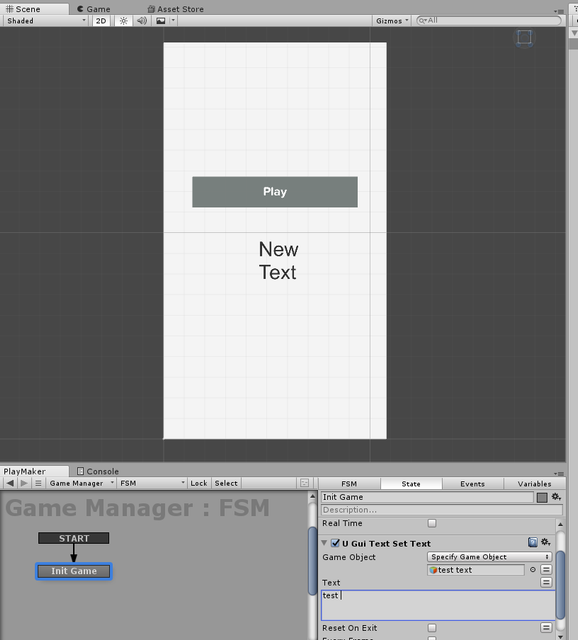 In modals and UI buttons etc everything are made with playmaker. These things not firing but game is working perfect including dotween animations, l2 localize and google play iap. i just saw your other post, please use 1 post only for the same issue. I looked to the asset and i can see on your logcat that it is related to that assets. Try searching the unity forum (monoposixhelper missing) and/or contact the author from that asset. I created a new project and just a few button. It works without not error. I created a new project and just a few button. And I imported and installed playmaker and just debug action in start state. There is no any plugin or something else. It gives monoposix error.. I am on windows and testing android. I am pretty sure palymaker gives an error because test project is full empty. Did you try with playmaker 1.8.9? Did you check uf your Android sdk is up to date? As i said, problem was playmaker. I tested with v1.8.9 and there is no problem.